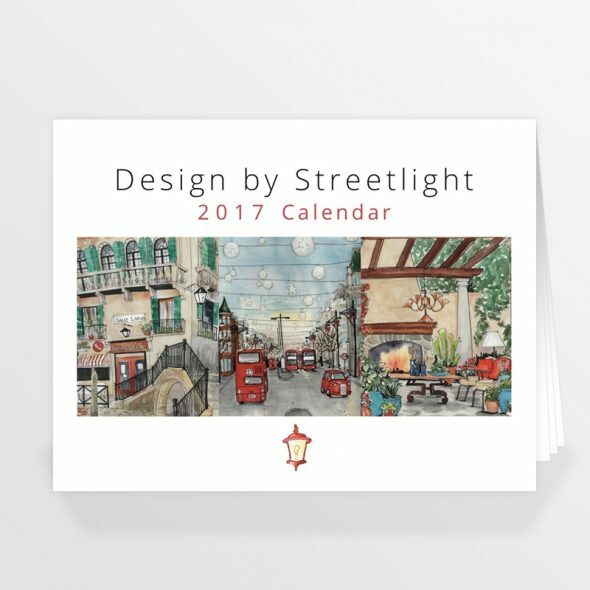 Five years have gone by since I started Design by Streetlight? Wow. The link to my store is at the top of the site or right here. 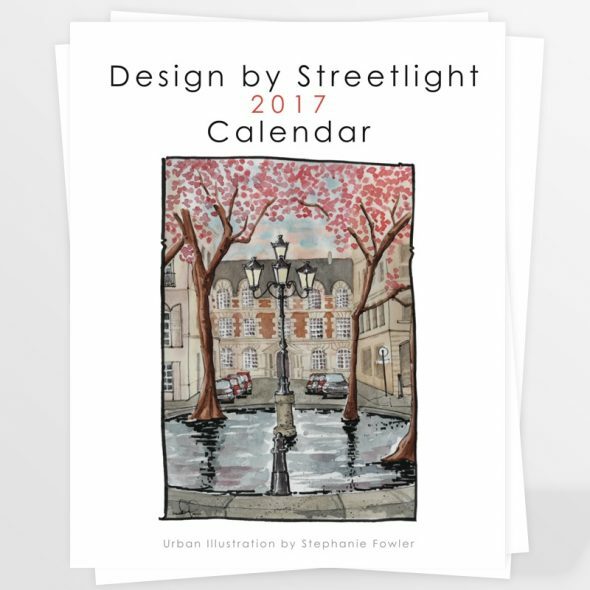 We’ve got the Classic 8×10″ Calendar stocked and ready to go, AND this year we are introducing a new size! Full sheets at 11×17″, with a proper full month calendar below to write in appointments, track events and note down schedules as needed. This idea came to me last year as I was searching for a calendar for our kitchen. There was an absolutely beautiful calendar sitting in Indigo, but it didn’t have proper calendar months. I reluctantly returned it to the shelf but thought to myself, I should change this on my calendar for next year! So there it is. I hope your year has been fabulous and that as it winds down you can find moments of peace against the chaos that is the holidays. 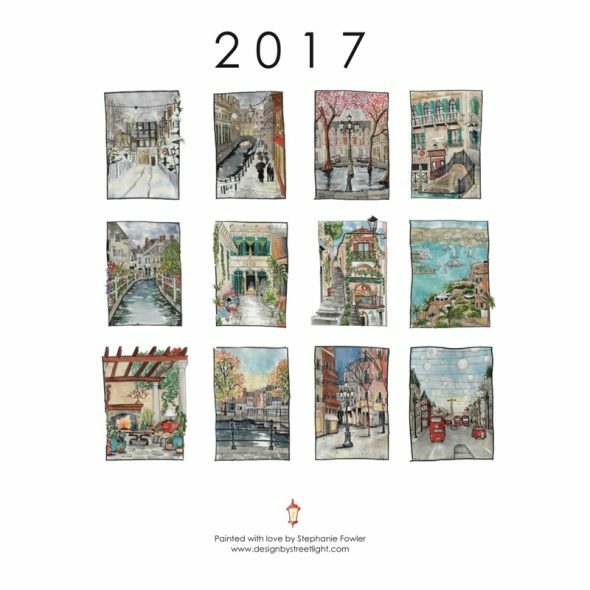 For me, I’m feeling the wave of accomplishment as we send the 2017 Calendar off to the presses. I can clear my desk both literally and figuratively and dive back into drawing again! This entry was posted on Sunday, December 11th, 2016 at 5:43 pm. It is filed under General Musings and tagged with 2017, calendar, Christmas, DBSL. You can follow any responses to this entry through the RSS 2.0 feed.